Industry leaders have stepped up to embrace Green Fins with symbiotic partnerships with The Reef-World Foundation, driving sustainable diving as the global social norm. 1) Greening Equipment Manufacturer’s value chains, through introducing Green Fins messages for wider reach. One example is Fourth Element who have been setting some of the sustainability industry standards when it comes to manufacturing and establishing ‘circular’ value chains, from compostable packaging to recycled swimwear, to wetsuits made from recycled ‘ghost’ fishing nets. Fourth Element will further green their value chain through introducing Green Fins messages, starting with a label for their gloves that is intended to warn divers not to touch any marine life from the first step of the purchase. 2) Leading diver training organisations are interested to embrace Green Fins as a proven solution for improving environmental performance of dive centres, furthermore, educating dive staff and divers. Some of the solutions involve adopting Green Fins at scale to green their network of dive centres; educate local businesses and showcase solutions from the field; launch/revamp conservation-based courses with the aim for divers to become more aware of the marine environment, the threats and understand what they can do to protect it. 3) A pioneering resort, Six Senses Laamu is using Green Fins as an educational tool, and in partnership, we have released the first of a series of videos, where Six Senses Laamu has shared their approach to environmental pre-dive briefings to help educate dive staff and divers; and inspire the industry as a whole. Explorer Ventures Liveaboard in the Caribbean has also stepped up as the first liveaboard to adopt the Green Fins Code of Conduct voluntarily and use the Green Fins International Year of the Reef 2018 Campaign to educate people on sustainable dive practices and operations. 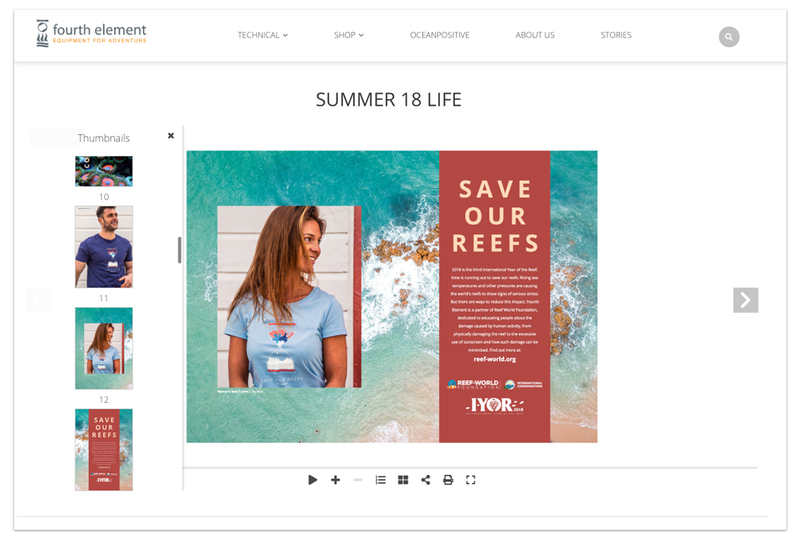 4) Divebooker, an online reservation system for travelling divers has introduced an incentive for Green Fins dive centres to become part of the platform with 0% commission. A new emerging platform for dive rating called Rateyourdive.com has introduced Green Fins as a filter for divers to be able to locate a green dive centre and has included environmental rating for dive centres. Both of these businesses are driving tourists to more environmental businesses, whilst setting high sustainability standards. Why are businesses interested? Their long-term viability depends on the marine environment. Divers who are travelling across the world to see the rainforests of the sea, are becoming more and more environmentally aware and are choosing businesses who demonstrate environmental stewardship. Businesses are joining forces with the Green Fins initiative to decrease industry threats to the marine environment, allowing coral reefs to be more resilient to fight off bigger threats such as climate change, pollution and overfishing. Apart from the positive environmental impacts, it’s an opportunity to INNOVATE, to build relationships with CLIENTS and to PIONEER SOLUTIONS. These collaborations directly contribute to the United Nations Sustainable Development Goals (SDGs) 14 (Life Below Water), 12 (Sustainable Consumption and Production) and serve as a platform for the diving industry to take the lead and collectively prove that healthy oceans really do mean a healthy business. It’s the beginning of an exciting journey where the industry is starting to tackle challenges collaboratively, learn from each other and co-creating, thus working for the long-term sustainability of businesses and the dive sites we enjoy. Are you interested in implementing environmental policies and/or practices in your company's operations, courses or value chain? Spreading the word and driving behaviour change? In supporting the creation of positive tangible impacts for the ocean, communities and environment?